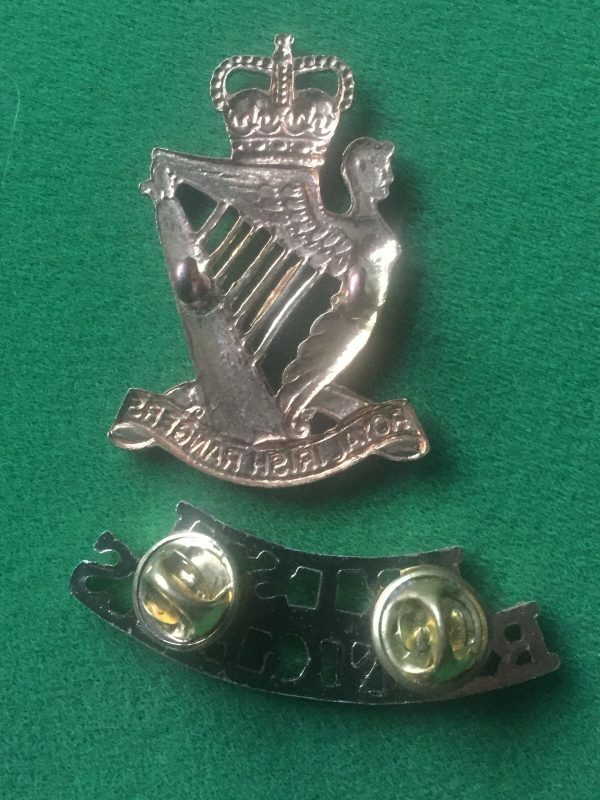 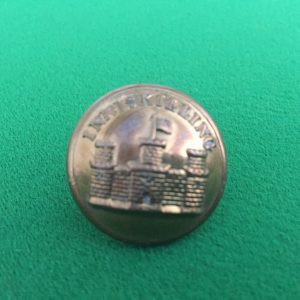 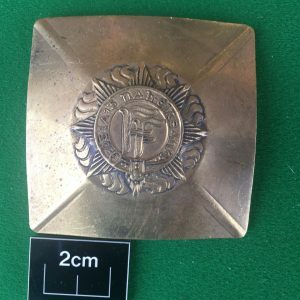 In excellent condition, on offer here is an anodized bi metal (gilt and silver)Queen Elizabeth II cap badge worn by a member of the Royal Irish Rangers. Also included is an “Irish Rangers” shoulder title. 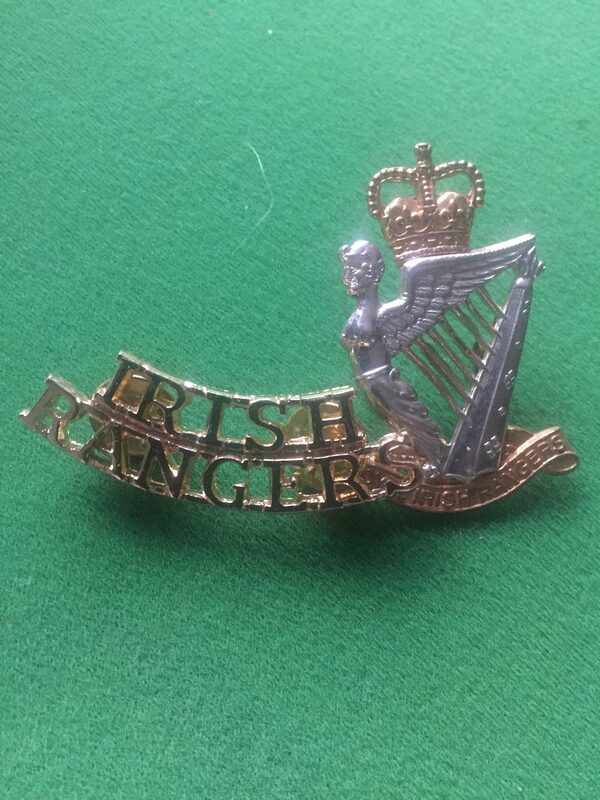 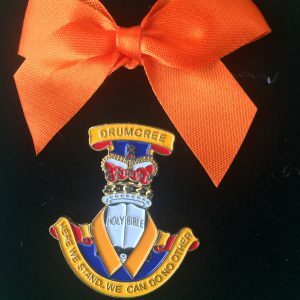 The Royal Irish Rangers was formed in 1968 from the amalgamation of the Inniskilling Fusiliers, Royal Ulster Rifles and The Royal Irish Fusiliers. 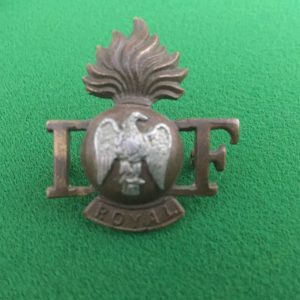 This regular infantry regiment of the British Army had a relatively short existence. 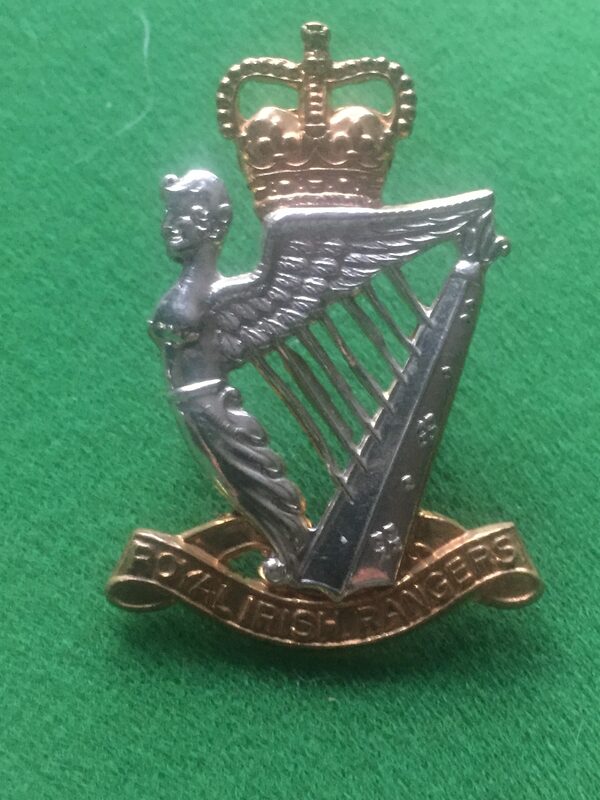 The Royal Irish Rangers merged with the Ulster Defence Regiment in 1992 to form the Royal Irish Regiment.